I know it is Wednesday, and I'm finally up loading about Cupcake Monday. Better late than never eh? Cupcake Monday went down a treat (pun intended) at the 9-5. I made a range of chocolate and lemon cupcakes, with a lemon curd (I am back on the curd bug!). Maybe Cupcake Monday could be introduce to all the 9-5's around the country? A bit like Stella McCartney's Meat Free Monday? Another week has gone by so quickly! And I haven't even said a word to you all in the blog sphere, tut, tut! I am just preparing my weekend for my up and coming Cupcake Monday at my 9-5. (Cupcake Monday: One Monday in the month that takes away the feeling of monotony of the coming week) I introduced this last month, and the idea (and the cakes) appeared to go down well! It is going to have a spring Easter theme. I still haven't completely decided what I going to make yet, hmmm! Anyhoo, should be all good! Ooh! Just admire it's angles, it's beautiful pastel pink colour, two sturdy clips on each side, it's comfortable handle, not forgetting it's three trays to carry your cupcakes in without them getting squashed! Ahhh! Let me just breath, as I have been lusting over this for a good few days since it arrived in the post, well actually I have been lusting for over a year for this, it is the Ultimate! Cupcake carrier, but the UK price for it really did bother my purse, ( it failed to open each time I attempted to order it!) So after many failed attempts pleading with US Ebayer's to bring down their shipping charges, (In some cases it was working out to £45.00- £50.00!) My cynical mind kept telling me it is only a plastic container and it's, soooo not worth it! However I wanted it so bad, I had to order it from The Cupcake Courier company, And it was soooo worth it! As they are now saying they only have a few left, and this is the last of them in the UK. If you have been spending a year deciding if you should buy it or not, you better make your mind up now! Anyway, cant wait to take mine for a spin! 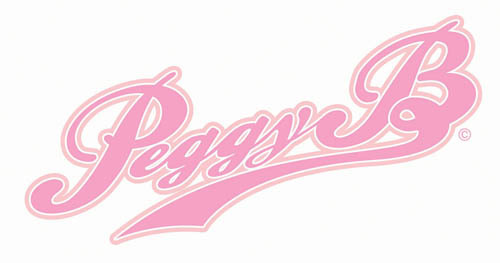 It is mother's day today in the UK, and I wanted to show my appreciation to all the mothers out there especially to Ms Peggy B senior. I'm taking Peggy B senior for a slap up meal of fish and chips, I know fish and chips isn't glamorous, however this is what she wanted, and you got to give the lady what she wants on her day? I would of baked her something nice, however I think the incident with the baking soda many years ago (please see first post!) still haunts her lol! What a lovely day it was yesterday? Sunshine, blue skies, no rain! What more can a woman ask for? Perfect for mouching in the shops, and a Sunday roast. And also baking cupcakes for my sister! I made a batch of my Jane Not So Plain, vanilla cupcakes, and Lemon Kiss cupcakes with their sugar red lips for decoration. This reminds me she hasn't told if she liked them, and she still got my cakes stands! I've got a phone call to make. I’ve been back at the mixing bowl, still not using the oil, and trying again with melted butter, I thought this time if I mixed the eggs, sugar and melted butter together for a bit longer than last time, it might make it moist. Well surprise, surprise! It wasn’t, I used soft brown sugar, with half white and half wholemeal flour, hoping to get the colour I was after (I think the mix of flour didn’t help either) adding more spice, cloves, cinnamon, and nutmeg. Once again my independent judging panel claimed the texture and taste reminded them of Bulla cake! If you do not know what this is, it is a West Indian style pastry sometimes Know as Bulla bread! Normally eaten with cheese and avocado pear. If you are looking at the picture of this, you can see why I was not pleased! Although the same thought came to me when I first tasted it lol! I think I am going to have to succumb to the powers of the oil, as this is clearly not working. Anyway back to the mixing bowl!